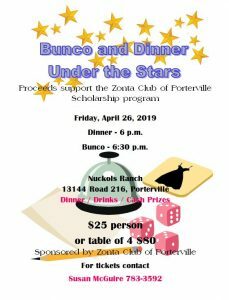 In recognition of the similarities in the mission of Zonta and the Central California Family Crisis Center, Zonta Club of Porterville has been a constant and strong supporter of the Center for over twenty years. Zonta members and the Z club members host Christmas, Halloween and Easter parties for the children at the shelter every year. In just last ten years, the Club has donated $52,000.00 to the Crisis Center. 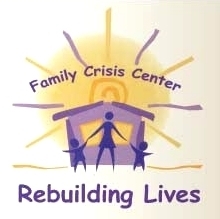 The Family Crisis Center is a non-profit multicultural organization that exists to protect individuals and families from domestic violence and economic deprivation by providing food, shelter, education and other charitable services. The agency was started in 1977, by Mary Baker, a local woman who was concerned about the domestic violence and homelessness in our community, in particular, the farm labor population. Initially women and their children were housed in people’s homes (safe houses) and the first emergency shelter opened in 1983. The current shelter is a six bedroom, five bathroom facility with an overnight bed capacity of 38, for women and their children. It is good to note that the Family Crisis Center, will shelter males with their mothers up to the age of 17, which many shelters do not. Overnight accommodations are also available to male victims or to others when the shelter is at capacity, by offering motel assistance. The shelter offers many programs for the clients including case management, individual and group counseling, life skills training and employment assistance, to name just a few. We aim to educate and empower families to Rebuild Lives. In 2013 we assisted 436 shelter clients (223 children). We also offer many programs to non-shelter clients such as parenting education classes, batterers intervention program, child abuse intervention program and legal advocacy assistance for the filing of restraining orders and child custody papers, when it is associated with domestic violence in the home.